Enter the world of carbonTRACK and turn your house into an intelligent home. Start with the carbonTRACK hub and connect your appliances using the Smart Plugs. These are the easiest home automation products to use to add convenience to your life and could help you save on electricity costs. Control and manage your home and appliances from the app. Anytime. Anywhere. The carbonTRACK ecosystem is extensive. The technology grows with you so that you can build your intelligent home at your own pace. how much electricity your appliances use in 15 minute intervals. connected appliances remotely from your phone. your appliance schedules and run them when electricity is cheaper. your time and reduce wasted electricity. On the way home from work? Why don’t you pre-cool or pre-heat your home? 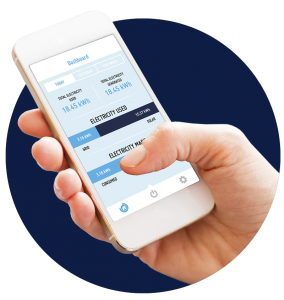 Schedule your smart plugs to switch on your electric cooling or heating system from your phone*. Come home to the perfect temperature setting. Unsure of what’s using the most electricity? Plug in an appliance at a time. Track how much each appliance consumes and then decide which appliance you want to keep attached to the smart plug. SET UP FOR LESS VAMPIRE POWER. Vampire or standby power makes up to 10% of your electricity bills? Connect your appliances to smart plugs and switch them off from your phone when you’re about to leave the house or go to sleep. SECURE YOUR HOME FROM INTRUDERS. Going away over the weekend or heading overseas for a holiday? Connect your lamps to the Smart Plug. Set timers for the lights to come on at night and create the illusion of activity. You can also connect your lighting circuit to the carbonTRACK hub. Contact us for more info. CLEAN CLOTHES EVEN WHEN YOU’RE AWAY. Use your cheaper electricity to wash your clothes even if you’re not at home? 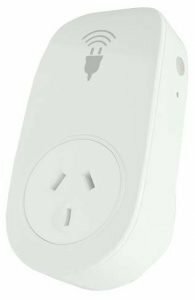 Connect your washing machine or tumble dryer to your smart plug*. Switch it on even when you’re away from home. Clean and dry clothes with less effort, less costs. SAVE ON YOUR NEXT PURCHASE. How much does it really cost to run your appliances? Connect your appliance and track how much electricity it consumes. See if it’s really time for an upgrade or if you need it checked out for a service. See how your bills have shaped up over the past 3 months or 3 quarters. See whether you have stayed below your bill goal for the past 3 months. Know how much time is left in your billing period, and how much you have left to spend before you’ve hit your budget. You can also see a prediction of how much you are likely to be above or below your goal. Watch the video for a quick tutorial. From the appliances page you will also be able to see if the appliance is currently on or off (shown by a red or green circle). If a schedule is running for the appliance it will also have a blue circle. If an appliance connected through a smart plug, you’ll be able to see the appliance’s electricity usage in daily, weekly and monthly time intervals. For more information on CarbonTrack, contact Solar Service Group on 1300 40 41 42 or by filling in the form below. Do you have any specific questions, special requirements etc?